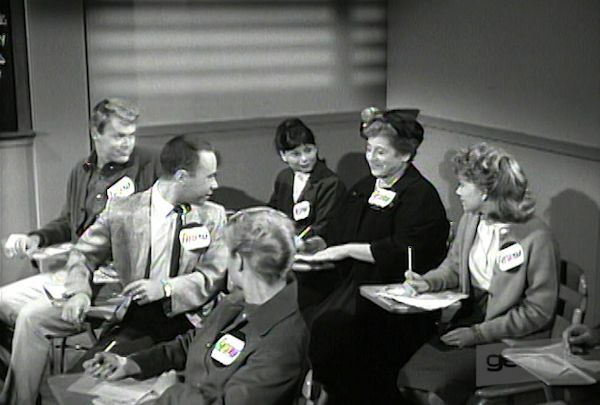 getTV expands its popular daytime programming block with two rarely seen sitcoms, as the charming 1961 higher education CBS comedy Mrs. G Goes to College moves into the daily 6 a.m. ET slot, while the rare 1960 NBC rom-com Peter Loves Mary takes over at 7 a.m. ET starting March 20. This is the first time that both series have aired on television in over 50 years. Mrs. G Goes to College stars EMMY® and TONY®-winning actress Gertrude Berg - a classic radio trailblazer and one of the first women to create, write, produce, and star in a long-running hit series—in her EMMY®-nominated role as Sarah Green, a middle-aged widow who enrolls as a freshman at the local university, where she brightens the students' lives with her kindness and helps them through their struggles with her wisdom. 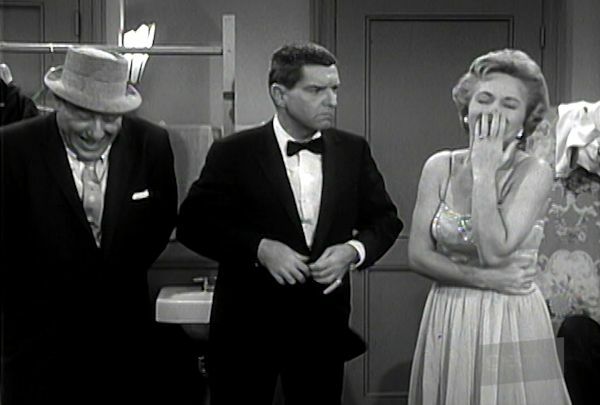 The character originally appeared as Aunt Sarah on the military sitcom Hennesey, starring Jackie Cooper; Cooper would later reprise his role as the titular Lieutenant in an episode of Mrs. G Goes to College. The series co-starred noted character actress Mary Wickes, who also received an EMMY® nod for her role as Maxfield; and acclaimed British actor, and two-time Hollywood Walk Of Fame Star recipient, Sir Cedric Hardwicke as Professor Crayton. 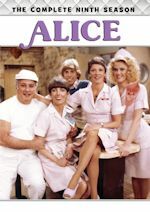 Featured guests include Peter Lorre, Alan Reed, Yvonne Craig, John Astin, and Marion Ross as Mrs. G.'s daughter, a decade before she captured the hearts of viewers across the world as Mrs. Cunningham in Happy Days. Peter Loves Mary stars real life husband-and-wife duo Peter Lind Hayes and Mary Healy as married entertainers, who give up the glitz and glamour of New York City for life in the quiet town of Oakdale. 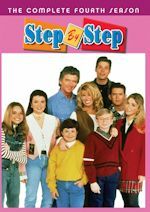 While Peter quickly grows bored of his new surroundings, Mary keeps things interesting with a number of misadventures involving the couple's housekeeper and two local children. Notable guests include Yvonne Craig, John Astin, Alan Reed, Wallace Ford, Jack Weston, and Bill Erwin. Hayes and Healy appeared in many classic films and shows together over the years, including the 1953 cult favorite The 5,000 Fingers Of Dr. T, and were also the original voices of the beloved 1949 jingle "See The U.S.A. In Your Chevrolet." 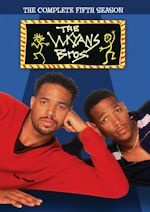 For the week of Feb. 26-Mar 3, 2017, we have many current sitcom stars and past sitcom stars on TV talk shows! All times listed are Eastern. So get your DVRs (or whatever you use) ready! Ready? Here is all what you need to know for the coming week! Keri Russell (Running Wilde) - Watch Keri on The Tonight Show Starring Jimmy Fallon at 11:34pm on NBC. Slink Johnson (Black Jesus) - Slick is a guest on @midnight on Comedy Central at midnight. Josh Henderson (One on One) - Josh appears on Watch What Happens: Live at 11pm on Bravo. He also talks about The Arrangement on NBC's Today in the 10am hour. David Hyde Pierce (Frasier) - David chats with the ladies of The View on ABC at 11am ET/10am CT-PT. Jerry O'Connell (We Are Men/Carpoolers/My Secret Identity) - Jerry is a guest on LIVE! with Kelly, so check your listings. Leighton Meester (Making History) - Leighton stops by Harry, so check your local listings. 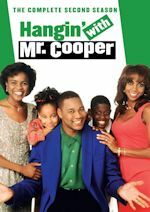 Holly Robinson Peete (Hangin' with Mr. Cooper/For Your Love) - Holly visits Home & Family on Hallmark Channel at 10am ET/PT. John Lithgow (Trial & Error/Twenty Good Years/3rd Rock from the Sun) - John talks about Trial & Error on NBC's Today in the 9am hour and on the AOL Build Show at 1:30pm. Billy Gardell (Mike & Molly) - Billy dishes on how This is Us is following in Mike & Molly’s footsteps – and why both shows are so beloved on People Now at 8:30am. Lisa Kudrow (Friends/The Comeback) and Craig Robinson (The Office) - Lisa and Craig talk about their new film Table 19 on the AOL Build Show at 2:30pm. Sinbad (A Different World/The Sinbad Show) - Sinbad is a guest on Steve Harvey, so check your local listings. Bradley Whitford (Trophy Wife) - Bradley visits The Talk on CBS at 2pm ET/1pm CT-PT. Craig Robinson (The Office/Mr. Robinson) - Craig appears on The Real, so check your local listings. Lisa Kudrow (Friends/The Comeback) - Lisa appears on The Late Show with Stephen Colbert at 11:35pm on CBS. She also talks about Table 19 on NBC's Today sometime between 7-9am and in the 9am hour. Whoopi Goldberg (Whoopi/Bagdad Cafe) - Whoopi visits Late Night with Seth Meyers at 12:36am on NBC. Martin Short (Mulaney/The Martin Short Show) - Martin appears on Conan at 11pm on TBS. Natalie Zea (The Detour) - Natalie is a guest on Conan at 11pm on TBS. Dan Bucatinsky (Marry Me/The Comeback) - Dan drops by Watch What Happens: Live at 11pm on Bravo. Connie Britton (Spin City/The Fighting Fitzgeralds/Lost at Home) - Connie appears on LIVE! with Kelly, so check your listings. She also talks about the new season of Nashville on the AOL Build Show at 11am. David Spade (Rules of Engagement/8 Simple Rules/Just Shoot Me!) - David drops by The Ellen DeGeneres Show, so check your local listings. Allison Williams (Girls) - Allison is a guest on Harry, so check your local listings. Katherine LaNasa (Three Sisters) - Katherine bakes a Mardi Gras king cake on Home & Family on Hallmark Channel at 10am ET/PT. Craig Robinson (The Office/Mr. Robinson) - Craig talks about Table 19 on NBC's Today in the 9am hour. Josh Henderson (One on One) - Josh talks about his The Arrangement on the AOL Build Show at 5pm. He will also be on New York Live on WNBC in New York at 11:30am ET. Tiffani Thiessen (Saved by the Bell/Saved by the Bell: The College Years) - Tiffani is a guest on The Doctors, so check your local listings. Kate Walsh (Bad Judge/The Drew Carey Show) - Kate appears on PIX11 Morning News on WPIX in New York at 8:50am. Patrick Stewart (Blunt Talk) - Patrick is a guest on The Late Show with Stephen Colbert at 11:35pm on CBS. Natalie Zea (The Detour) - Natalie visits Last Call with Carson Daly at 1:35am on NBC. She opens up about how she and her husband Travis Schuldt balance work and parenthood – and if they will have more kids on People Now at 8:30am. Pete Holmes (Crashing) - Pete appears on @midnight on Comedy Central at midnight. Lauren Lapkus (Crashing/Clipped/Are You There, Chelsa?) - Lauren is a guest on @midnight on Comedy Central at midnight. Lisa Kudrow (Friends/The Comeback) - Lisa stops by Watch What Happens: Live at 11pm on Bravo. Aubrey Plaza (Parks and Recreation) - Aubrey chats with the ladies of The View on ABC at 11am ET/10am CT-PT. Scott Foley (The Goodwin Games/A.U.S.A./Scrubs) - Scott is a guest on The Ellen DeGeneres Show, so check your local listings. Emeril Lagasse (Emeril) - Emeril co-hosts Rachael Ray, so check your local listings. Mackenzie Phillips (One Day at a Time) - Mackenzie appears on Home & Family on Hallmark Channel at 10am ET/PT. She will also be on Access Hollywood Live, so check your local listings. Craig Robinson (The Office/Mr. Robinson) - Craig joins the Chew Crew on ABC's The Chew at 1pm ET/12pm PT/CT. Patrick Stewart (Blunt Talk) - Patrick looks back on the first time he met Hugh Jackman on People Now at 8:30am. Dan Bucatinsky (Marry Me/The Comeback) - Dan talks about 24: Legacy on the AOL Build Show at 5pm. He will also be on New York Live on WNBC in New York at 11:30am ET. David Cassidy (The Partridge Family) - David discusses his announcement that he is battling dementia and address rumors that he was intoxicated during a recent performance on Dr. Phil, so check your local listings. Adam Pally (Making History/The Mindy Project/Happy Endings) - Catch Adam on Jimmy Kimmel Live! at 11:35pm on ABC. John Lithgow (Trial & Error/Twenty Good Years/3rd Rock from the Sun) - John appears on The Tonight Show Starring Jimmy Fallon at 11:34pm on NBC. Scott Foley (The Goodwin Games/A.U.S.A./Scrubs) - Scott drops by The Late Late Show with James Corden at 12:37am on CBS. Lisa Kudrow (Friends/The Comeback) - Lisa is a guest on Conan at 11pm on TBS. Justin Bartha (The New Normal) - Justin stops by Conan at 11pm on TBS. Patrick Stewart (Blunt Talk) - Patrick appears on Comedy Central's The Daily Show with Trevor Noah at 11pm. He will also be on ABC's Good Morning America sometime between 7-9am and and chats with the ladies of The View on ABC at 11am ET/10am CT-PT. He talks about his new film Logan on the AOL Build Show at 2pm. Josh Henderson (One on One) - Josh appears on LIVE! with Kelly, so check your listings. He will also be on The Wendy Williams Show at 2am on BET or on your local stations. Carla Gugino (Spin City) - Carla is a guest on Harry, so check your local listings. Billy Gardell (Mike & Molly/Yes, Dear) - Billy drops by Harry, so check your local listings. Alfonso Ribeiro (The Fresh Prince of Bel-Air/In the House/Silver Spoons) - Alfonso is a guest on Access Hollywood Live, so check your local listings. Patrick Warburton (Crowded/Rules of Engagement/Seinfeld) - Patrick appears on Access Hollywood Live, so check your local listings. Kathy Griffin (Suddenly Susan) - Kathy is a guest on a repeat of Steve Harvey, so check your local listings. Nicole Ari Parker (Second Time Around) - Nicole visits The Real, so check your local listings. Paul Rust (Love) - Watch Paul on The Late Show with Stephen Colbert at 11:35pm on CBS. Sally Field (Gidget/The Flying Nun) - Sally talks about The Glass Menagerie on NBC's Today sometime between 7-9am. Lisa Kudrow (Friends) and Craig Robinson (The Office/Mr. Robinson) - Lisa and Craig talk about the new movie Table 19 on People Now at 8:30am. Justin Bartha (The New Normal) - Justin talks about The Good Fight on The Talk on CBS at 2pm ET/1pm CT-PT and on Access Hollywood Live, so check your local listings. Billy Gardell (Mike & Molly) - Billy talks about Sun Records on Access Hollywood Live, so check your local listings. Jace Norman (Henry Danger) - Jace talks about Henry Danger on the AOL Build Show at 2pm. Melissa Peterman (Baby Daddy/Reba) - Melissa is a guest on The Real, so check your local listings.